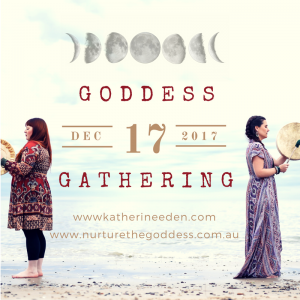 Over a year ago now, Katherine from Nourished Collective and I ran our first Goddess Gathering where we sat in circle with 13 other amazing women. 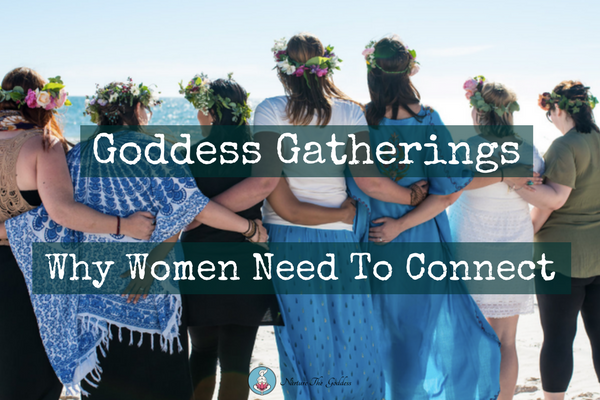 Our intention with these gatherings was to bring women together; to refill, refresh and reconnect – to each other, to mother earth and to the wise women ways that have been left by the wayside in our busy modern day lives. However, they have evolved to be all of this and so much more. At the gatherings the conversations, meditations, craft, reflection time, journeys and simple togetherness may not feel all that potent, however, we have found that the seeds of positive change are subtly planted and these grow and flourish when we all head home and resume our day-to-day lives. 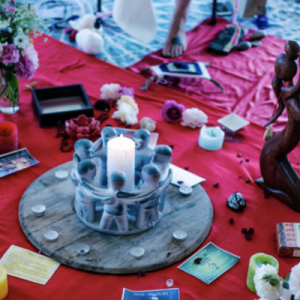 Our gatherings are inspired by the red tents of old times, which would focus on the cycles – the menstrual, lunar and seasonal cycles. Before electricity, women would all bleed together on the dark of the moon. They would retreat for 2-3 days, away from the rest of the community, just the women and any breastfed babes-in-arms. The menopausal Women (wise women crones) and Fathers would take care of the older children and the day-to-day runnings of the community while the women retreated. During this time the women would honour their body, nourish and nurture each other and leave behind the concerns and worries of everyday life. They would rest, talk, eat, sleep and most importantly they would dream. The women would be blessed with a vision on their third day of bleeding and this would be shared with the whole community on their return. The community hugely valued and relied on these visions the women would return with and used them as instruction for direction and focus for the community. – Red Tent Dreaming. We are so busy these days. Busy working 9-5, busy being Mum, Wife, business woman, studying, driving to appointments, cooking, cleaning, paying bills, doing the food shop, maintaining a household etc. Since we stopped living as a village and functioning as a real community, the pressures we place on our self for what we want and need to achieve are huge – unrealistic even. We barely have time to keep our head above water, let alone take the time out to connect with our soul and each other. Balance and self care is vital. It has a ripple effect, the consequences of which are far reaching and long lasting. All members of a family and community benefit when we take time out and care for ourselves. – Red Tent Dreaming. We wanted to create a safe space where women can take a few hours to just be. Be women – together, away from all of our other roles. Let our words, emotions, strengths and vulnerabilities come to the surface in a safe space – judgment free. In her book ‘Braving The Wilderness’ Brene perfectly articulates Katherine’s and my feelings on face-to-face connection and the power it holds. Social interaction makes us live longer, healthier, happier lives. Face-to-face connection lowers our cortisone levels and releases dopamine. Katherine and I come away from the Gatherings feeling truly blessed and bursting with love, on a little high from the oxytocin that is released when women gather in circle. There’s truly nothing more magical than experiencing the activation of all of our senses with others, in the flesh. Our next Gathering is on Sunday Dec 17th. Come along and experience 3 hours just for you. We’re entering into the ‘Silly Season’, which as magical as it is, can be quite draining and intense! It might be fitting to take a look at the traditional origins of the Christmas and New Year celebrations we partake in today. Maybe we’ll reflect on the year that has been? Who knows – we’ll see what organically manifests! 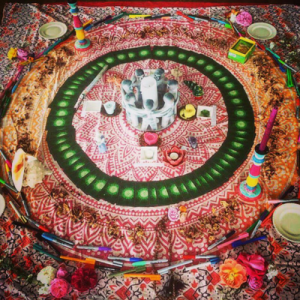 There will most definitely be tea, nourishing food, craft, henna and a drum journey. We trust that those who wish to join will. If that’s you, we can’t wait to sit in circle with you.